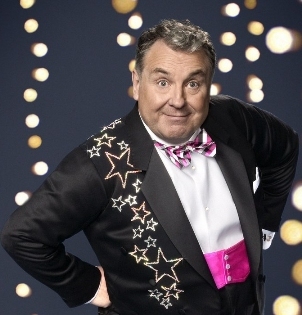 Strictly Come Dancing star Russell Grant has launched a search for some new divas. The popular TV personality has announced audition dates for his new showbiz spectacular in collaboration with Coleg Harlech. The production will offer potentially life changing opportunities for young people who are not in work, education or training and those who are at risk of becoming so. He’s urging people to come along and take part in the glitzy production which is set in 1960s New York and revolves around five of the most famous musical divas including Edna Turnblad from Hairspray and Dolly Levi from Hello Dolly. Strictly Divas is a Coleg Harlech Performing Arts School production which has been funded with help from a joint initiative by the Welsh Government, ESF and the Arts Council for Wales via a project known as Reach the Heights. Reach The Heights is aimed at reducing the number of young people in Wales who are not in education, employment or training (referred to as NEET) or are at risk of being so. The project has helped more than 5,000 young people to date and it is hoped that Strictly Divas, which follows on from the hugely successful production of Bliss last year, will help even more young people. On March 16 at 7 pm and March 18 at 12 noon there will be auditions for acting for 17-19 year olds. Additional auditions for under 19s will be taking place over the Easter weekend but dates and times have yet to be confirmed. The actual performance will be on June 7, 8, 9, and 10 with rehearsals every weekend from March 18 onwards until June 2 when the final preparations will take place over the five days leading up to the first performance. There is also a Facebook page dedicated to the production.